REVAMP ME!! Come transform this townhouse into the perfect home! Bring your vision - and maybe a contractor - to this 8 room, 3 bedroom, 1.5 bath home with great bones, tons of potential and in a fantastic location. 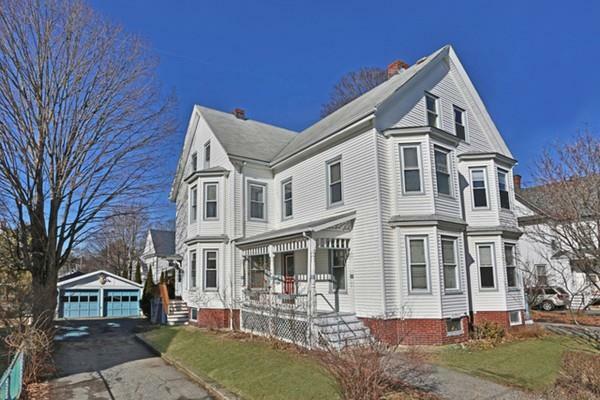 Situated within walking distance to downtown Melrose and the commuter rail, close to the bus and Oak Grove and as spacious as a single family. The first floor is complete with kitchen, living room, dining room, half bath and pantry with laundry hookups. Hardwood floors and period details can be found throughout as well as fabulous oversized windows to let in plenty of natural light! Head on up to the 2nd floor using either the front or back staircase where youâll find 3 generous bedrooms and a full bath. The finished 3rd floor offers bonus space for additional bedrooms, playroom or office - just add heat! Full basement for storage and you have your own 2 car garage, deck and backyard. Check out our virtual tour, stop by an open house or schedule a private showing today!